SEMI-FINAL: Mayo (Ballina Stephenites) 0-7 Galway (Athenry De Wets) 0-4 (Claremorris, 26/3/1905). MAYO: R Marsh (captain), PM Timlin, P Heffernan, M Coppinger, B Hennigan, C Huey, A Corcoran, T Murray, T Gilmartin, W Boshell, M Fuery, D Ryder, J Conlon, P Farmer, ? Sheridan, P Kelly, T Wade. (Note: In Terry Reilly’s book The Goal of Victory, it is stated that this match was, in fact, the Connacht final). FINAL: Mayo 3-6 Roscommon 0-1 (Claremorris, 16/4/1905). SEMI-FINAL: Kerry 2-7 Mayo 0-4 (Limerick, 7/4/1905). According to a report in the Western People dated 7th August 1996, Mayo contested this 1903 All-Ireland semi-final in 1905 due to the following circumstances. The 1903 Connacht championship was only contested by Mayo, Roscommon and Galway, with the latter given a bye into the final. The Mayo/Roscommon game was played on 10th May 1903 (see 1903 page for details) and was won by Roscommon. 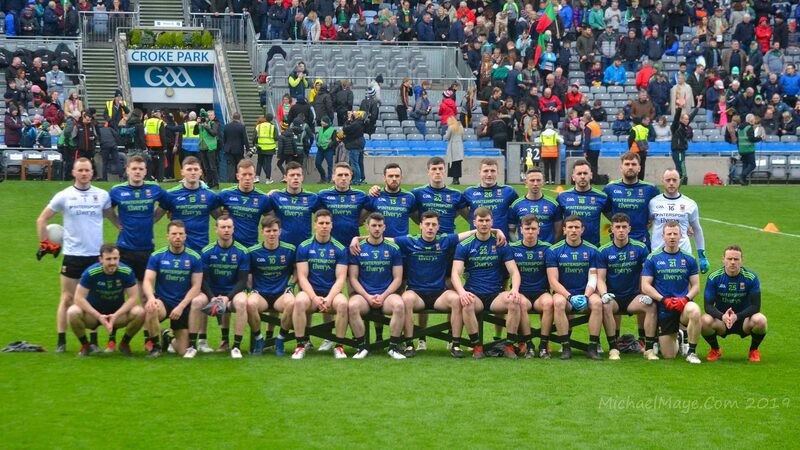 Mayo objected to the result, Roscommon counter-objected and both counties were eventually disqualified from the provincial championship, which was then awarded to Galway. Galway should, then, have contested the 1903 All-Ireland semi-final but before this match could take place, Mayo won the 1904 Connacht championship (see above) and so it was Mayo who went forward to play Kerry in the 1903 All-Ireland semi-final. Mayo played Dublin in the semi-final of the 1904 All-Ireland Championship in May 1906 – see 1906 records for further details.